BSG Auto Parts Has Added Two Giant Vehicle Group’s Parts in Its Product Range! BSG has added Fiat and Renault parts in its product range. Customer satisfaction and reliable quality products have always been the highest priority for BSG Auto Parts ever since the brand was founded. BSG serves its customers in more than 63 countries around the world with its experienced and professional experts. These made BSG Auto Parts one of the key players in the automotive sector. 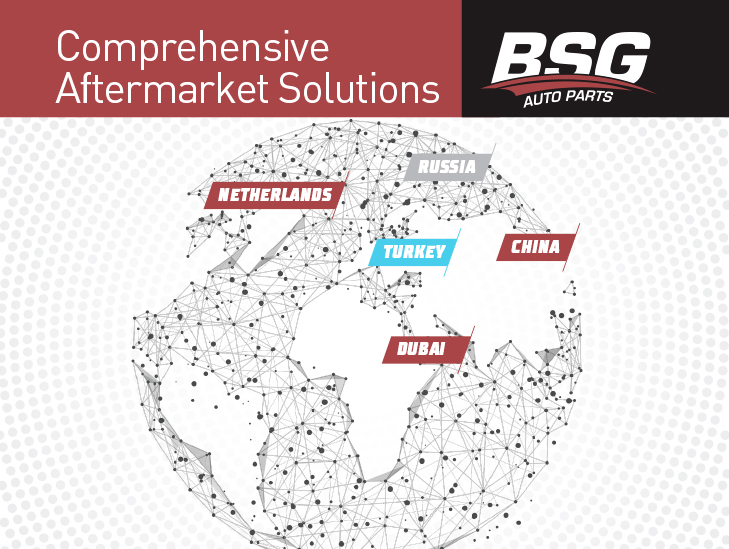 BSG Auto Parts products have been introduced into the market in 2000 by experience and power of the Basbug company and has become one of the leaders by making agreements with Original Equipment quality manufacturers on local and global markets. BSG Auto Parts continued its development in the market with adequate and updated products that conforms to the highest standard. This strategy consequently provides the best affordable quality products without compromising customer satisfaction. Nowadays, BSG Auto Parts provides its customers with over 13,000 references for parts of manufacturers such as Renault, Fiat, Ford, Mercedes-Benz, Volkswagen, Opel, BMW, Peugeot, Citroen, Hyundai, Kia, Audi, Seat, Skoda, Land Rover, Mini, Chevrolet.